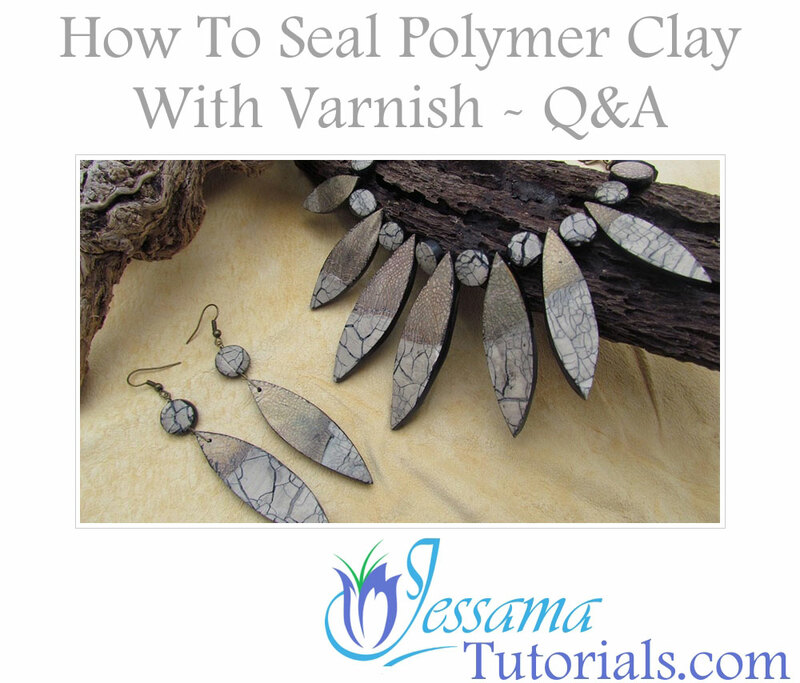 In this article, I'll show you how to seal polymer clay with varnish without all the hassles. I'll address some of the most common problems with varnishing polymer clay beads, the likely causes and what you can do about them. 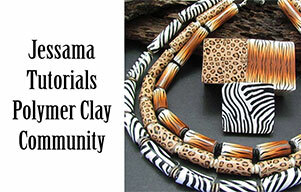 Polymer clay varnishes, or glazes, are a quick and easy way to seal polymer clay beads. The gloss varnishes give a nice, shiny finish and bring out the color in your work. Matte varnishes are the best way to keep a natural look to your polymer clay jewelry and still protect whatever surface effects you might have. 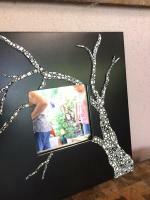 Unfortunately, many finishes react with polymer clay and mixed media and they hate moisture and dust. Your simple varnishing process can quite easily turn into a small nightmare, if you're not careful which polymer clay varnish you use and how you use it. The quickest way to eliminate most of the problems is to make sure that you are using a compatible varnish. I've written about which polymer clay varnishes I recommend in another article. Why has my polymer clay varnish gone cloudy? This is an example of a sealed bead that's got moisture in it. Your varnish isn’t compatible with polymer clay and has reacted with it. Likewise, your varnish may have reacted with one or more of your surface effects. Varnish is not a fan of moisture. High humidity can wreak havoc with many, otherwise perfectly useful, glazes. There could also have been moisture in or on your polymer clay when you sealed it. Make sure that your clay is completely dry before sealing it. Your sealant may have reacted to the oils or dirt on your bead. This reaction can be avoided by giving your polymer clay a good sand and buff after baking. Be careful of surface effects though. Use a wet wipe or tissue to clean beads that may be damaged by sanding. Most of these issues can be avoided by using one of the varnishes on my recommended polymer clay varnishes list. Why has my polymer clay finish peeled? You didn't seal your polymer clay with enough coats. Most varnishes for polymer clay need 3-4 layers to give a durable finish. If you only use one thin coating it will often peel away. Make sure you clean your polymer clay before sealing it. Oils and dirt will react with your varnish and cause it to peel. This is why sanding and buffing is very important. Don’t sand if your surface effects will come off. You can wipe with a wet wipe or a tissue if you’ve got surface effects. If your varnish is exposed to heat it will crack and peel. This can happen if it is exposed to direct sunlight or any other extreme heat source. Why has my varnish not dried or dried sticky? This is probably the biggest problem I encountered when I was figuring out how to seal polymer clay beads with varnish. The simplest answer is that your varnish may be reacting to something. Either the polymer clay or a surface effect. However, this issue just as likely has its root in a moisture problem. To prevent water contamination, make sure your polymer clay is bone dry before sealing it. If you have already varnished it and you suspect moisture to be the problem, you can try using a heat gun on a low setting to dry it. It’s important not to let it get too hot, as it will yellow, crack and even burn if you go too far. The other possibility is high humidity. The best way to deal with high humidity is to take a heat gun and set it on a low heat setting. Gently wave it over your varnished bead when the varnish is almost dry. Be careful not to do it when the varnish is wet, as your heat gun will blow the varnish off of your bead. Be aware though, that even after you have dried them, some finishes will revert to a sticky consistency in high humidity. It's always better to finish polymer clay with a varnish that isn't reactive to the climate. Again, check the recommended varnishes list for the best ones. Why has my varnish cracked? This bead was left out in the sun and the varnish used on it has crackled and peeled. It could be that the finished bead has been exposed to direct sunlight for too long and the varnish has baked. This will cause it to yellow and, in severe cases, crack. But, as with many finishing problems, the most likely cause is the use of surface effects that don’t agree with your chosen sealant. Always check that the varnish is compatible with the effect before sealing polymer clay with it. How to seal polymer clay without pooling in my texture? 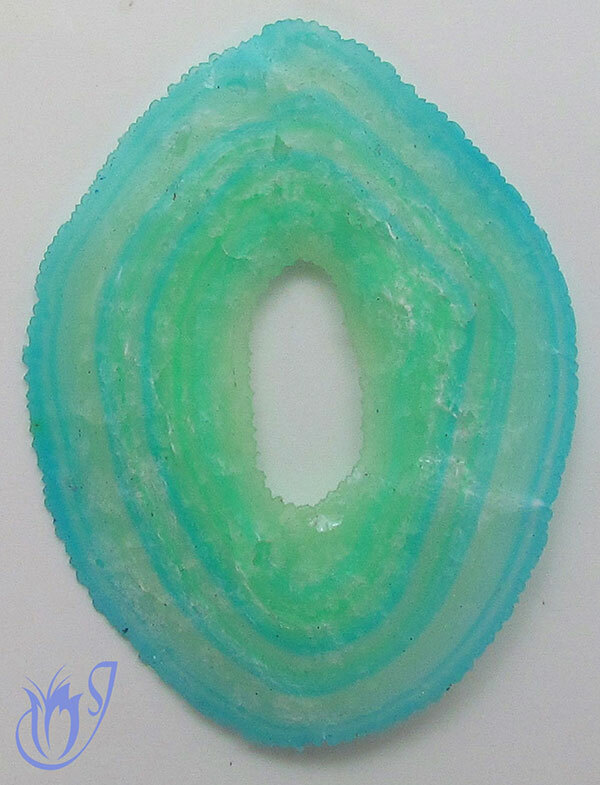 Sometimes, when you have a lot of texture on your bead, glazes will pool in the crevasses. It can be absolutely infuriating. Sealing your polymer clay slowly, with a small amount of varnish at a time will help prevent this. Why is my matte finish shiny? This problem can happen to anyone. 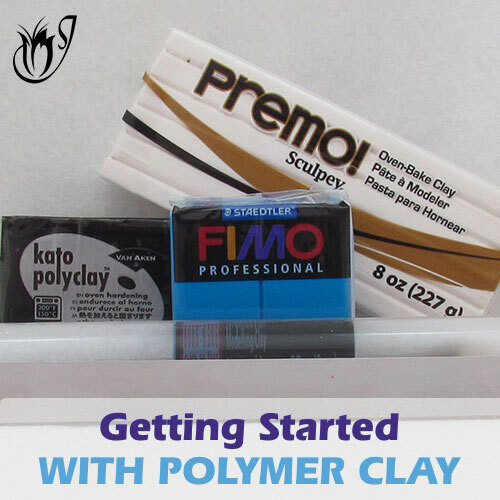 You’re in a hurry and quickly seal your polymer clay. You come back later and find that what was supposed to be a matte varnish seems to have given a shiny finish. What happened? You forgot to mix the bottle. Polymer clay matte varnishes need a good mix before being used. The matte particles fall to the bottom of the pot and need to be stirred back into the liquid before use. Don't shake the bottle. This will introduce bubbles that can be a hassle to get rid of. As mentioned throughout this article, the biggest issue with figuring out how to seal polymer clay with varnish is pretty simple. Which one should you use? There are literally hundreds available, from specially formulated polymer clay glazes to your local hardware store's floor finishes. 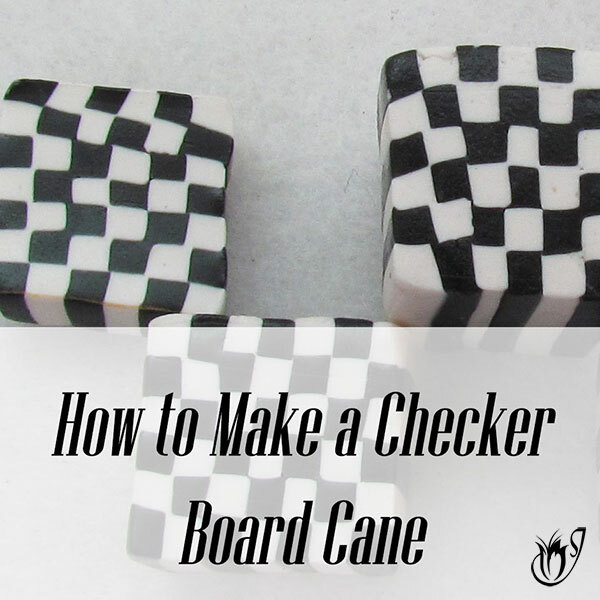 Thankfully, many polymer clayers have already spent many hours of frustration working out how to seal polymer clay jewelry with varnishes and glazes. This is a well trodden path by now, and there are a few varnishes that are universally recognized by the polymer clay community as being the safest and easiest choices. These are the ones that I have included on my recommended list. They have been tried and tested by myself and many others, and if you can source them, there really is no reason to run the gauntlet of problems that a non-compatible glaze can cause. So be sure to check out Which Polymer Clay Varnishes I Recommend. 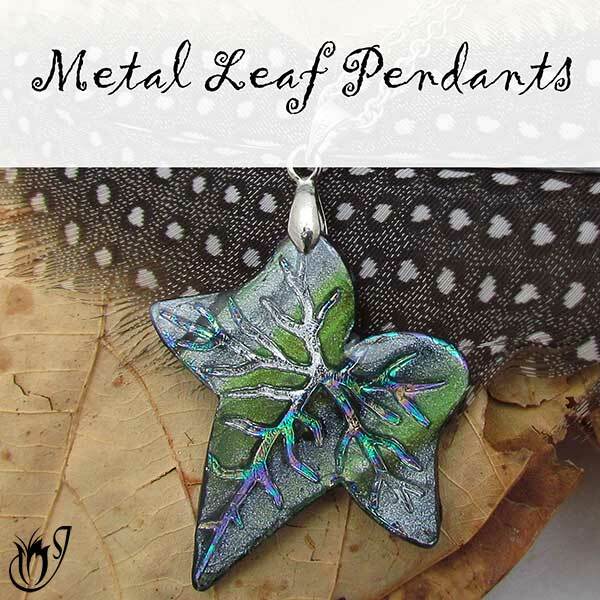 ﻿A cloudy finish is usually caused by: a reaction between the glaze and your polymer clay or your surface effects; moisture in or on your bead; oil or dirt on your bead; or high humidity. Cracked varnish is usually caused by exposure to a direct heat source such as sunlight. 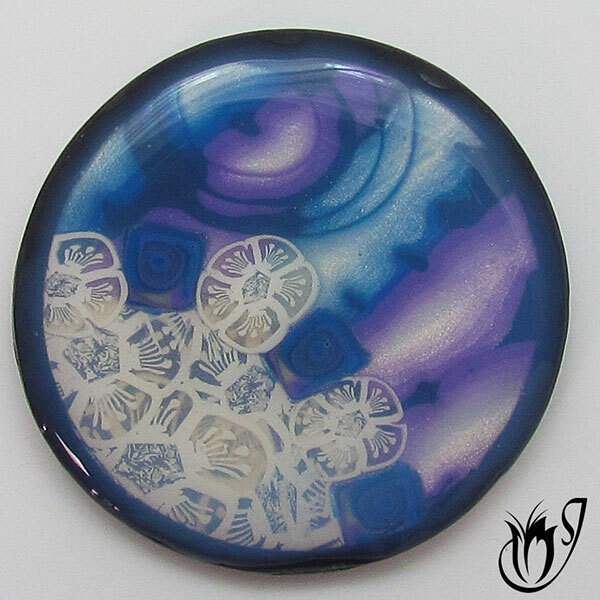 Your varnish can also crack if it is incompatible with your clay or mixed media on your bead. Polymer clay varnish can peel if: you don't apply enough coats; your clay is not clean before sealing; or it is exposed to direct heat. Your varnish may not dry properly if: it is incompatible with your polymer clay or mixed media; there is moisture contamination; or the humidity is too high. These things can also result in a sticky finish. 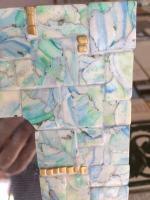 Glazes tend to pool in the crevasses of textured beads if you apply them too thickly. Applying several thin coats is a better idea. Matte varnish will give a shiny finish if you don't stir the bottle well before use. 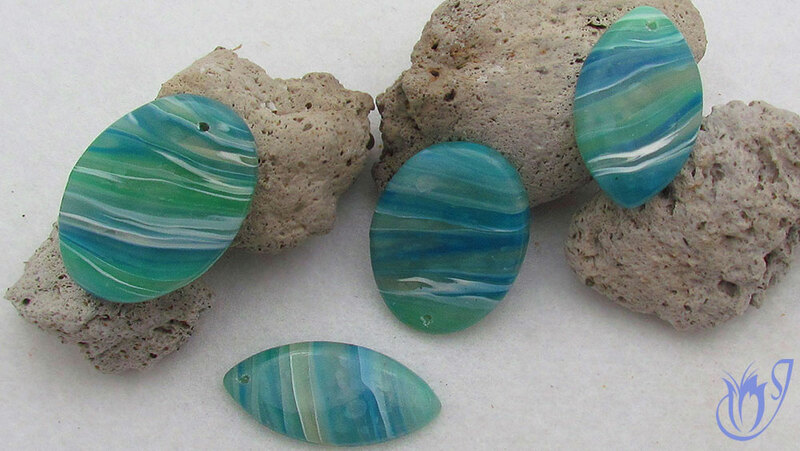 These are faux agate beads made with polymer clay. Click the image to go to the tutorial. These are faux agate beads made with polymer clay. These are faux agate beads made with polymer clay. Click the image to go to the tutorial. Sand and buff your polymer clay properly after baking. If there are surface effects that may be sanded off, wipe your clay with a wet wipe or tissue instead. Make sure your beads are completely dry before sealing them. Use a varnish recommended for polymer clay to ensure compatibility. 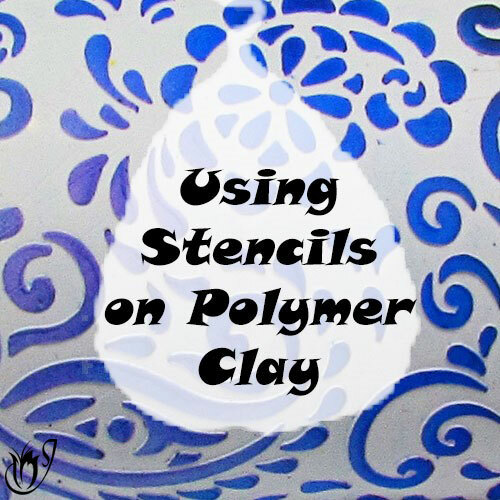 When I first started with polymer clay, there wasn't much information available on how to seal polymer clay with varnishes. I went through pot after pot trying to find the best ones. Thankfully, through social media, it's easy now for us to share our experience. The collective wisdom of years of claying around is now at your fingertips making your journey that much easier and far more rewarding. Please like and share with your friends to keep the word spreading. Do you have any other questions or problems with your polymer clay varnish? Let me know in the comments below and I'll be happy to add them in. Also be sure to let me know if there is a varnish or glaze that you have discovered that isn't on the recommended list. The more we know about, the more likely polymer clayers around the world will be able to source one of them.